Paris Agreement and the SDGs: Terms of Reference for Governing a Global Transformation to Sustainability? 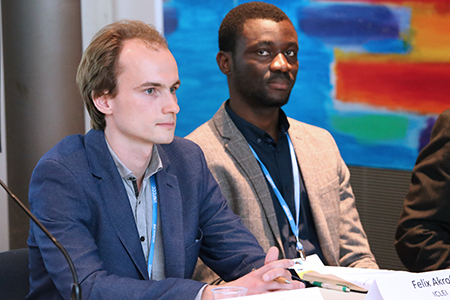 IISD Reporting Services, through its Earth Negotiations Bulletin on the Side (ENBOTS) Meeting Coverage, is providing daily web coverage of selected side events at the Bonn Climate Change Conference, May 2017. 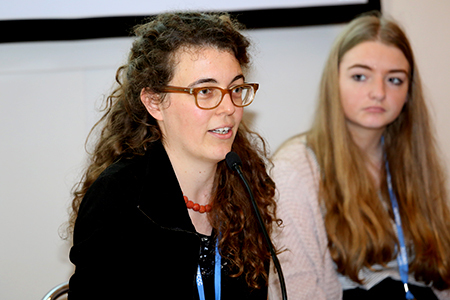 In this side event, panelists explored how children are impacted by climate change, and discussed operational approaches to the incorporation of children’s rights into climate action. 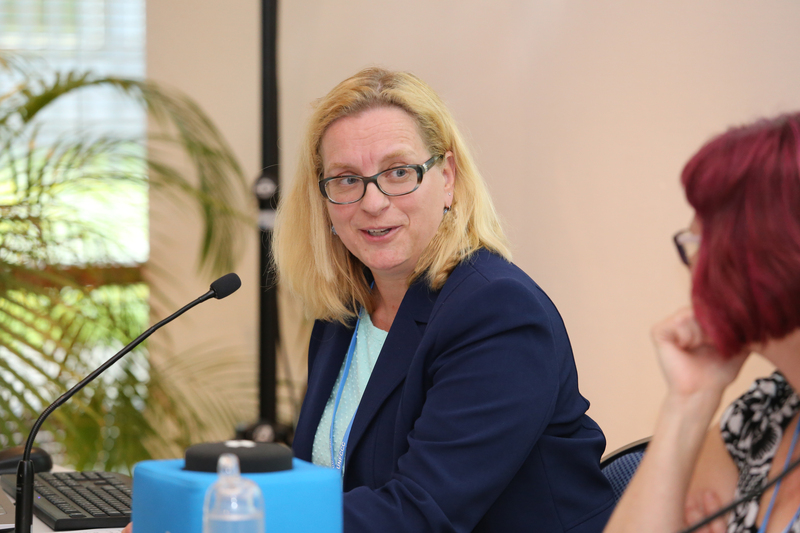 Joni Pegram, UNICEF, moderated the panel. Benjamin Schachter, Office of the UN High Commissioner for Human Rights (OHCHR), underscored that the international human rights framework “clearly applies” in the context of climate change, causing widespread impacts on the enjoyment of children’s rights. Stressing that countries have an obligation to adopt a “child rights-based approach” to climate action, he suggested that this approach include: ambitious mitigation measures to ensure temperature increase of no more than 1.5°C above preindustrial levels; adaptation measures that focus on protecting the most vulnerable children; and adaptation and mitigation actions that are the product of participatory and inclusive decision-making processes. Katharina Rall, Human Rights Watch (HRW), presented on HRW’s fact-finding on the impacts of climate change on children, including research on: girls’ access to water in the Turkana region of Kenya; child marriage as a “coping strategy” in Bangladesh; and the impacts of coal mining on communities in Malawi. She emphasized that climate change is not adequately addressed in most national and international climate change, environmental and health policies. 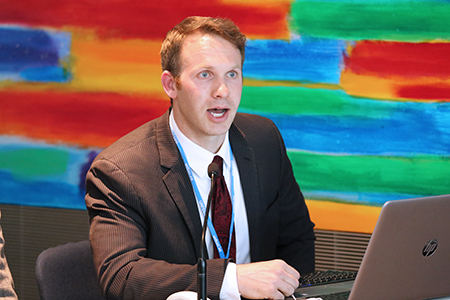 Noting a “dearth of data” on specific impacted groups, Rall called for the collection of disaggregated data that captures the disproportionate nature of climate change impacts. 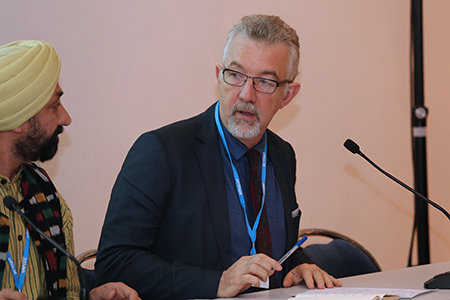 Robert Oakes, United Nations University (UNU), echoed the need for more information on the impacts of climate change on children, calling especially for data collection on mobility and migration. Noting that one in 45 of the world’s children are “on the move,” Oakes stressed that children are more psychologically, emotionally and physically at risk than adults when displaced. He cited the example of Hurricane Katrina in the US, where impacted children continue to exhibit psychological trauma and abuse drugs and alcohol. 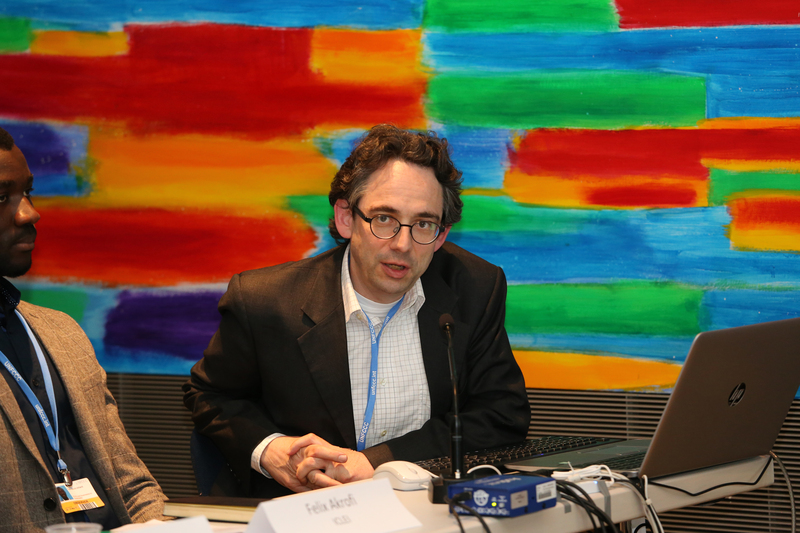 Benjamin Schachter, OHCHR, noted that climate change poses a threat to children’s cultural identity, connections to the natural environment and educational opportunities. This side event provided examples of climate actions supported by the UNFCCC Regional Collaboration Centres (RCCs), originally established to support developing countries underrepresented in the Clean Development Mechanism (CDM), and discussed ways to scale up RCCs to catalyze climate action. Hugh Sealy, St. George’s University, Grenada, moderated the event. Sealy indicated that there are five RCCs, for: East Africa in Kampala, Uganda; West Africa in Lomé, Togo; Latin America in Panama City, Panama; the Asia-Pacific in Bangkok, Thailand; and the Caribbean at St. George’s University, Grenada. Agré Mathieu Richemond Assié, Côte d’Ivoire, presented on the Monitoring, Reporting and Verification (MRV) Network in West Africa. Noting the network’s vision of delivering an operational MRV system in the Economic Community Of West African States by 2020, he highlighted its positive impacts on, inter alia: institutional arrangements for MRV systems; stakeholder identification for a robust transparency framework; expertise from regional institutions in West Africa; and sharing information on available financial support, including the Capacity Building Initiative for Transparency. 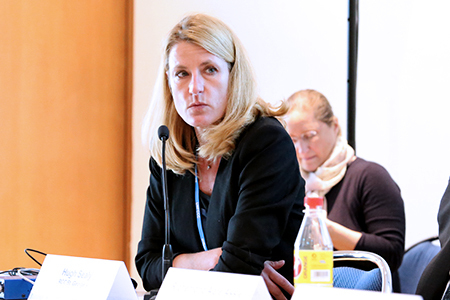 Malin Ahlberg, Federal Ministry for the Environment, Nature Conservation, Building and Nuclear Safety (BMUB), Germany, elaborated on collaborative instruments for ambitious climate action and identified areas of support. She highlighted: the importance of carbon pricing for successful implementation of Nationally Determined Contributions (NDCs); and the need for collective achievement of NDCs, and capacity building in developing countries to enable equal regional participation in collaborative instruments. Ahlberg also discussed a UNFCCC project on support for the adoption of collaborative instruments. 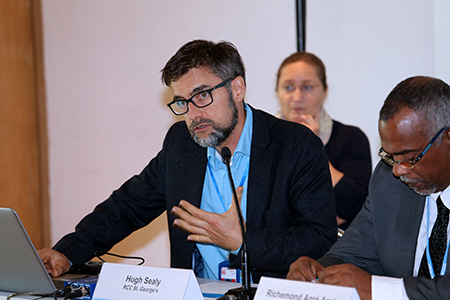 Grant Kirkman, UNFCCC, outlined climate finance initiatives supported by the RCCs to mobilize financial resources at the regional level. Noting that the RCCs are partnered with banks, he indicated that the RCCs and partners provide technical support to enable implementation of the Paris Agreement through, inter alia: assisting governments with the promotion of low-carbon and climate-resilient investment; enabling financiers to identify co-financiers; helping provide project owners with increased visibility for their products; and working with financial institutions on mobilizing private capital. He highlighted the potential availability of US$300 trillion in financial markets to finance implementation of the Paris Agreement. Sealy provided examples of host partner engagement in RCC activities from the Caribbean region, including: active technical and matchmaking assistance to projects; collaborations and partnerships with various organizations, including on the development of the Caribbean Carbon Market; and capacity building and outreach. 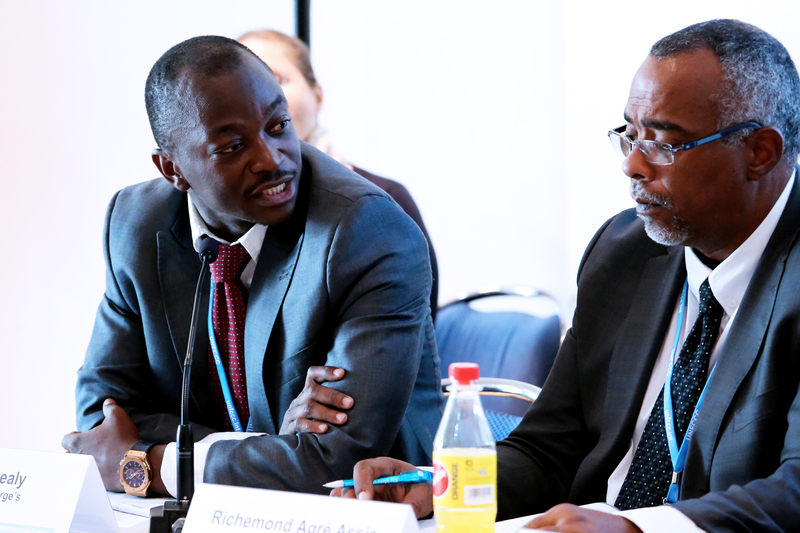 El Hadji Mbaye Diagne, Senegal, and Kentaro Takahashi, Institute for Global Environmental Strategies (IGES), discussed ways for regional presence to catalyze implementation of the Paris Agreement, highlighting the role of the RCCs in: capacity building and mobilizing various actors; promoting linkages among local, regional and global climate actions; and helping navigate climate finance, including carbon pricing. In the ensuing discussion, participants addressed, inter alia: the need for legislation mandating civil society participation; and the need to learn from the CDM experience and ensure that countries in all regions are adequately represented. Among the next steps for the West African MRV Network, Agré Mathieu Richemond Assié, Côte d’Ivoire (left), noted network discussions, and increasing multilateral exchanges. 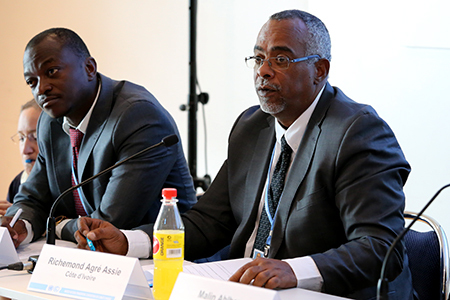 Hugh Sealy, St. George’s University, Grenada (right), moderated the event. 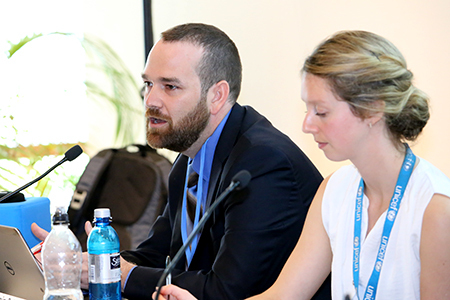 Grant Kirkman, UNFCCC, highlighted the green bond emerging market platform. 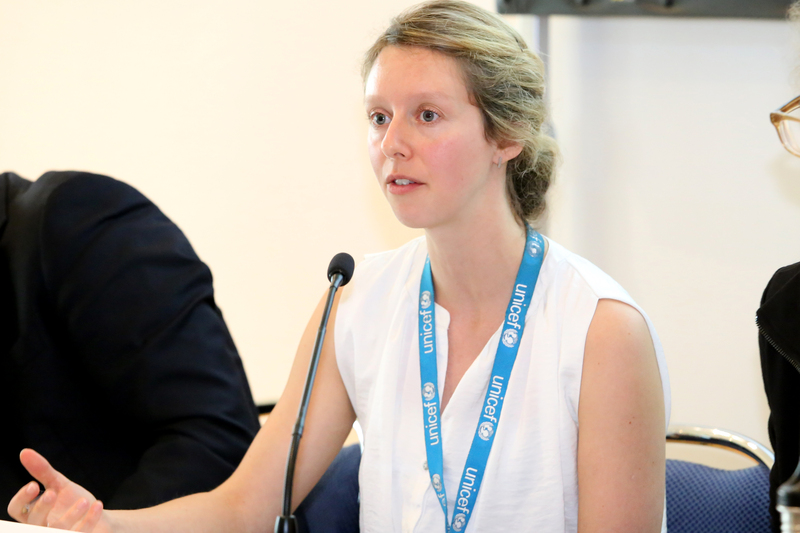 Malin Ahlberg, BMUB, Germany, discussed the role of carbon pricing in successful implementation of NDCs. 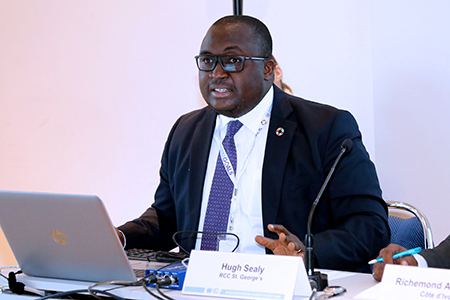 Hilary Ogbonna, UNDP, identified four areas of convergence between climate action and the 2030 Agenda: national-level actions; partnerships; reporting and review obligations; and financing. 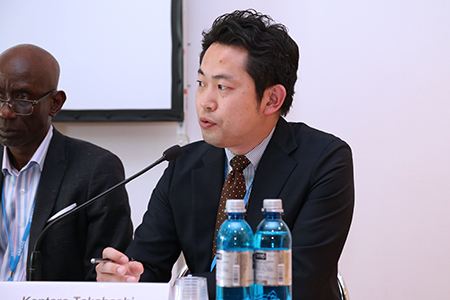 Kentaro Takahashi, IGES, highlighted the need for partnerships to implement the Paris Agreement. 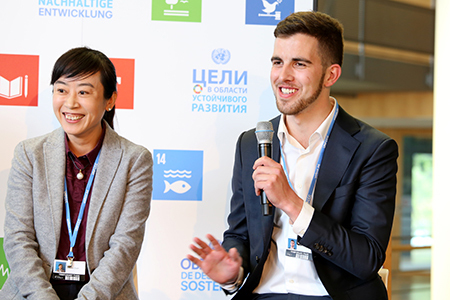 This event showcased activities of previous winners of the UNFCCC’s Momentum for Change Award, who are promoting and implementing climate solutions that support the Paris Agreement and the Sustainable Development Goals. 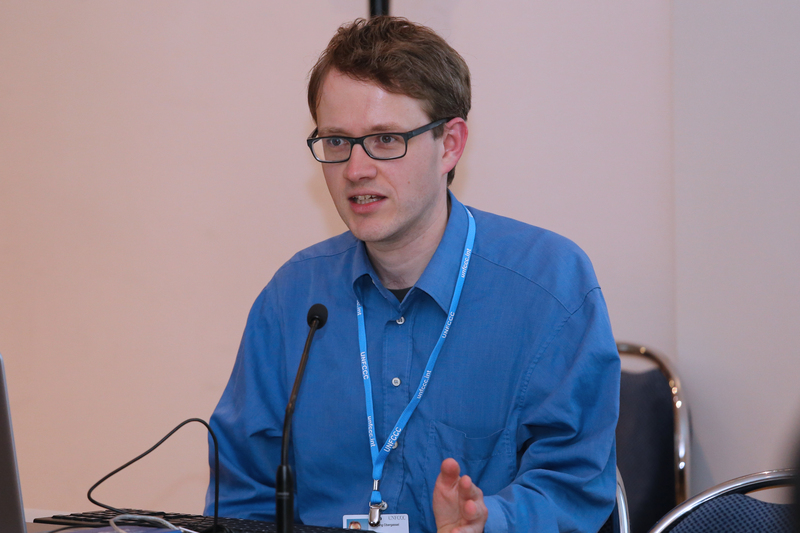 Matthew Phillips, UNFCCC Secretariat, moderated the event. 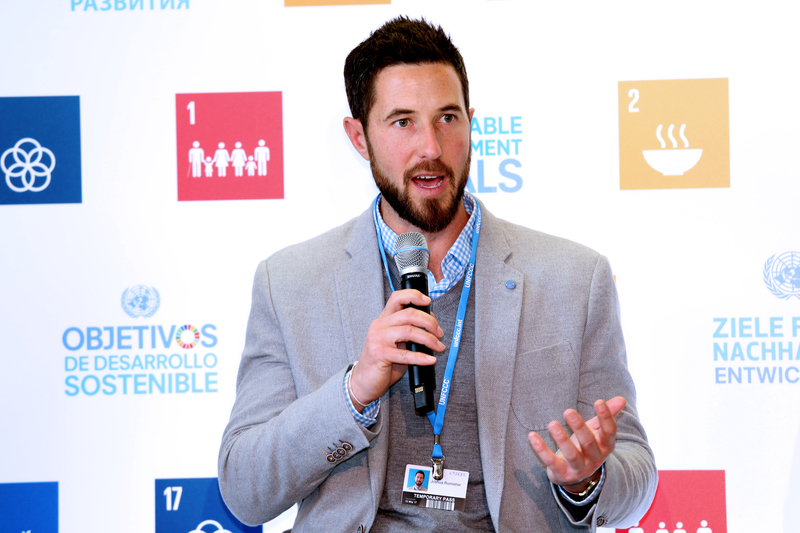 Joshua Romisher, Off Grid Electric, highlighted his organization’s work to power off-grid homes across Africa with affordable renewable energy. He said that, in doing so, Off Grid Electric is employing 700 people, 45% of who are women, and outlined his company’s skills-building activities. Noting that use of wood in architecture is no longer sustainable in the Sahel, Amarys Preuss, Earth Roofs for the Sahel programme, highlighted the efforts of the Association la Voûte Nubienne to promote the traditional “Nubian Vault” building technique in the region. Among advantages of this approach, she noted low-carbon production, and protection from both heat and cold. Xiaomei Duan, Far East BRT, discussed implementation of the Guangzhou Bus Rapid Transit (BRT) system, which services one million people every day in China’s third-largest city. She noted how Guangzhou had learned from Bogota’s BRT and is now also sharing lessons learned with cities in the US and the UK. 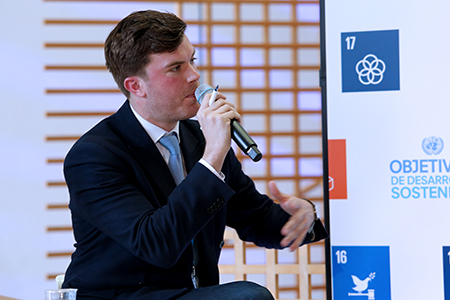 Luca Bucken, Liter of Light, described efforts to provide affordable, sustainable solar light to people with limited or no access to electricity. He showcased a solar lantern which takes two hours to learn how to build, stressing “everyone can become a solar engineer,” and outlined Liter of Light’s aspirations to scale up its work to 30 countries by the end of the year. In the ensuing discussion, panelists emphasized, inter alia: the need to involve all stakeholders when implementing a project; the value of partnering with governments so that solutions can be scaled up; the need to replicate successes, but also learn from mistakes made elsewhere; how masons in the Sahel are being taught to understand the risks associated with earth houses and flooding; and how the UNFCCC Momentum for Change Initiative has helped to amplify the reach and effects of different solutions. Matthew Phillips, UNFCCC Secretariat, moderated the event. Luca Bucken, Liter of Light, underlined the power of story telling in achieving results. This side event, moderated by Harjeet Singh, Action Aid International, addressed governance and technical issues surrounding loss and damage finance. 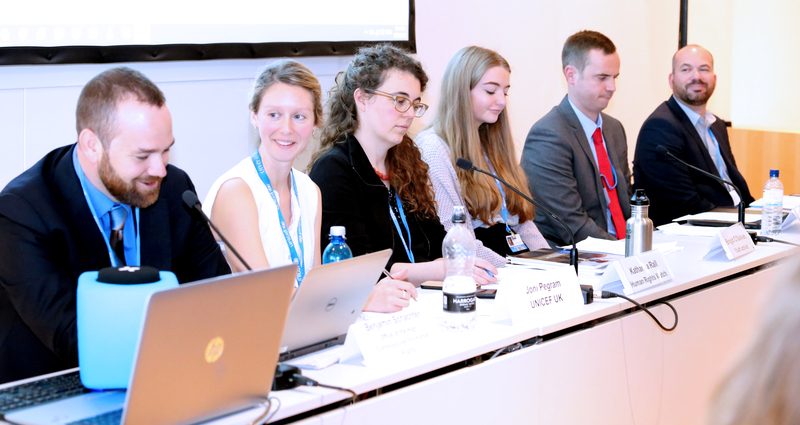 Panelists discussed whether existing climate finance instruments and mechanisms could be used for loss and damage, as well as the role of new and innovative sources of finance in generating funds. 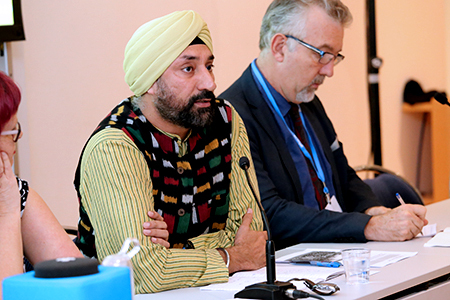 Singh characterized loss and damage as the third pillar of climate action, along with mitigation and adaptation. He outlined the work of the Executive Committee of the Warsaw International Mechanism for Loss and Damage associated with Climate Change Impacts (WIM) on migration, risk management, non-economic losses and finance, and noted that progress has been slow due to operational challenges. Richards underscored the need to define loss and damage as it would help: understand how much finance is needed, given and received; allocate funds “genuinely”; and reduce political disagreements and tension. Among key areas of overlap, she noted: loss and damage and adaptation; loss and damage and disaster response; and loss and damage and “normal” development. She underscored that, since loss and damage moves beyond adjustments, a different magnitude of response is required. Richards recommended that, in order to “classify” loss and damage, the WIM and the Standing Committee on Finance (SCF) develop a set of criteria or guiding questions, rather than a definition per se, along with a non-exhaustive positive list of types of projects. She further highlighted development aid, humanitarian assistance, disaster risk reduction and adaptation finance gaps and called for new sources of finance for loss and damage. Schalatek recommended that the WIM and SCF elaborate the potential of existing funds under the UN Framework Convention on Climate Change (UNFCCC). She emphasized that loss and damage needs to be: seen in the context of climate justice and not as “charity”; and guided by the principle of common but differentiated responsibilities and respective capabilities, the polluter-pays principle, predictability, additionality, precaution, gender equality and a human rights-based approach, along with country ownership, subsidiarity and appropriateness. 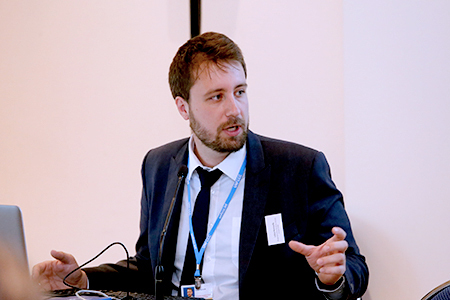 Pascal Girot, Costa Rica, said that loss and damage requires new criteria and a set of principles to create permanent sources of revenue, such as carbon taxes, that do not depend on donors’ generosity. He warned against thinking in silos and funding different “pots,” and called for thinking of climate finance in a “much more integrated fashion.” Girot stressed the need to move from disaster-related finance and project-based approaches to programmatic approaches, and address loss and damage in a more holistic fashion. Wilhelm Frank, Germanwatch, presented on the first lawsuit against an energy company before a German court, invoking responsibility of large energy companies for climate change in terms of liability for loss and damage. 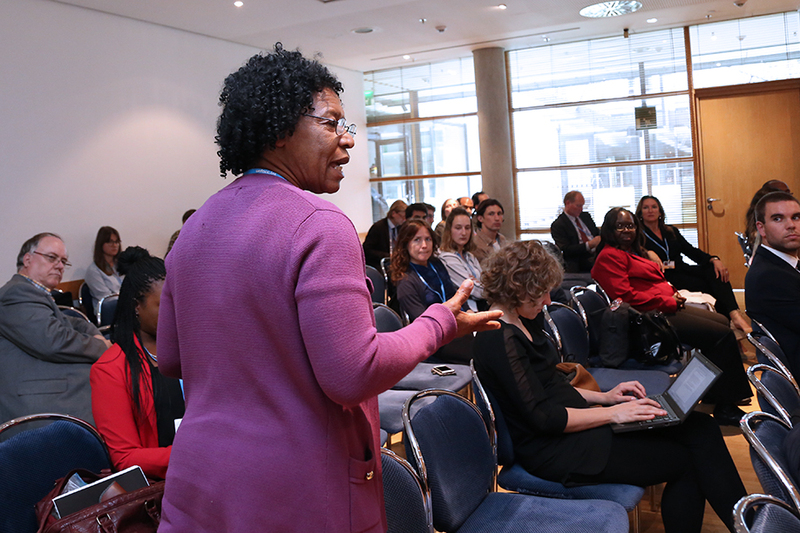 During the ensuing discussion, participants addressed, inter alia: criteria to address “gray areas” and differentiate between loss and damage, disasters and adaptation; the need to explore alternative sources of finance; historic responsibility and climate justice; attribution; and the need for political guidance to the WIM. Harjeet Singh, Action Aid International, stressed the need for permanent sources of finance that are adequate, predictable and sustained. Julie-Anne Richards, HBF, identified potential sources of finance, such as carbon or fossil fuel levies, global carbon pricing or a financial transaction tax. Liane Schalatek, HBF North America, suggested establishing a separate loss and damage trust fund under the Global Environment Facility or the Green Climate Fund. 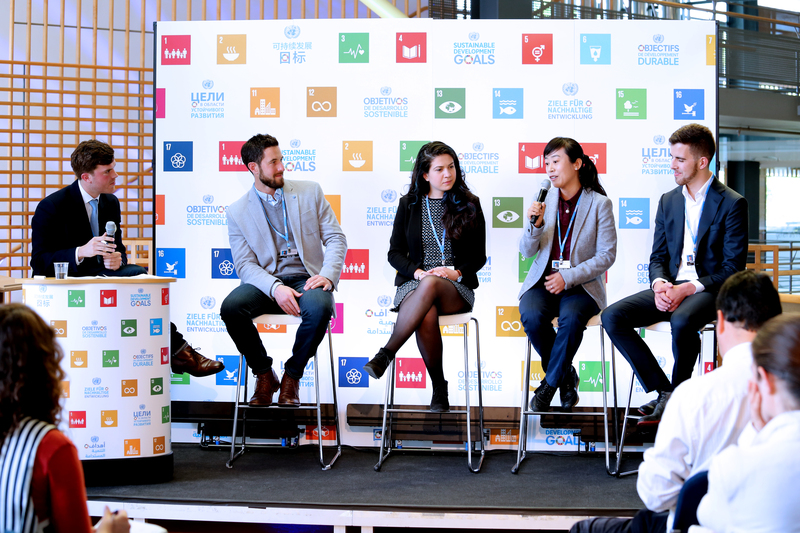 This session, moderated by Manuela Matthess, FES, explored complementarities between the Paris Agreement and the Sustainable Development Goals (SDGs) that can provide direction for a just transition of the global energy sector. She stressed that climate change is a “massive transformational challenge” that will require a “massive transformation of global economic systems.” Remarking that the energy sector must move away from fossil fuels, Matthess said the question is now centered around how this process will unfold. Underlining that “we are in a transformation,” Lukas Hermwille, Wuppertal Institute, identified opportunities for the SDGs and the Paris Agreement to guide a common agenda for a global energy transformation. Among the contributions of the Paris Agreement to an energy transition, he cited: “renewal of the multilateral process” for international cooperation; provision of a normative vision; operationalization of the 1.5°C degree goal; and the Agreement’s function as a “pacemaker” that stimulates and synchronizes national and international processes. Among the contributions of the SDGs to an energy transition, Hermwille cited: SDG 7 (Affordable and Clean Energy); and the “less obvious” goals of SDG 4 (Quality Education), SDG 6 (Clean Water and Sanitation) and SDG 8 (Decent Work and Economic Growth). He concluded that together the two agendas provide a strong mandate to all governance levels for action to expedite renewable energy deployment and to phase out unsustainable practices. Wolfgang Obergassel, Wuppertal Institute, outlined options for leveraging the SDGs to increase climate ambition under the UN Framework Convention on Climate Change (UNFCCC). His recommendations included: multi-dimensional contributions under the Paris Agreement that couple emissions targets with other types of contributions with better links to development priorities; integrated planning at the national level for Nationally Determined Contributions and the 2030 Agenda for Sustainable Development; and the development of cooperative mechanisms under Article 6 of the Paris Agreement, which operationalize sustainable development at the national level. During the ensuing discussion, participants addressed, inter alia: the need for financial support for implementation of sustainable development initiatives in developing countries; development of bioenergy as an alternative energy option in alignment with the SDGs; analytical frameworks to assess the benefits that accrue at different levels of energy service; and the challenge of reconciling the processes of separate international agendas. 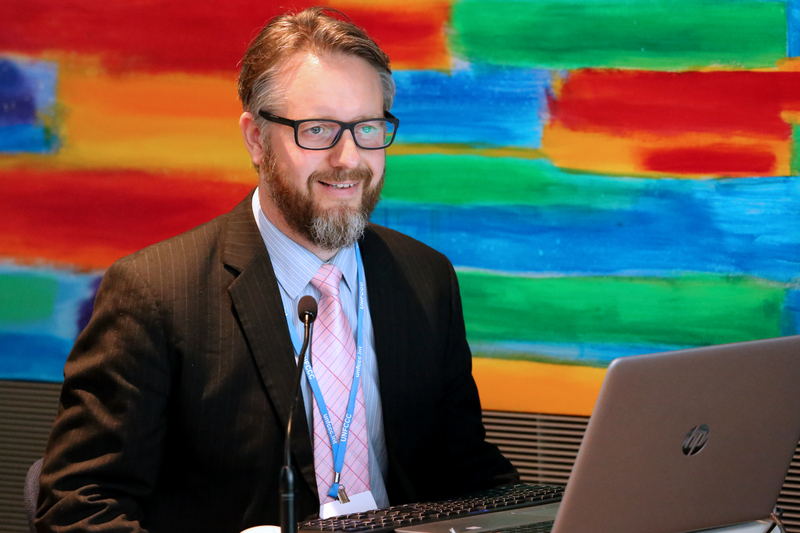 Wolfgang Obergassel, Wuppertal Institute, noted that, despite strong commitment in language, sustainable development outcomes are usually “treated as a co-benefit” in the UNFCCC. Lasse Bruun, Climate Action Network (CAN) International, described renewable energy as a “key mitigator,” and predicted a transition to this form of energy will open “positive flood gates” for climate action more generally. He noted other important advantages of such a transition include: improved energy access in developing countries; healthier citizens; enhanced energy security and independence at the national and community levels; and better employment opportunities for women. 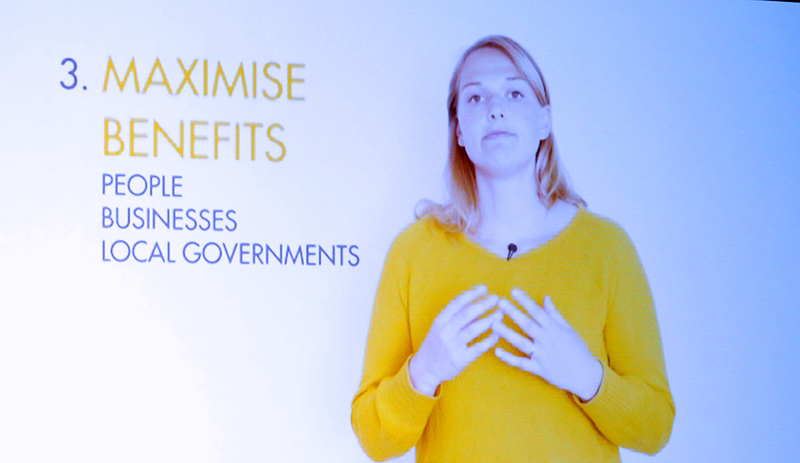 In a video message, Anna Leidreiter, WFC, made five recommendations to policy makers for achieving 100% renewable energy: make energy efficiency a top priority; electrify the heating, cooling and transport sectors; maximize opportunities for citizen participation and the development of new business models; educate and inform citizens and businesses; and adopt an integrated approach to fiscal, economic and energy policy. Stefan Gsänger, Secretary General, WWEA, pointed to the need for a “symphony of renewables” to meet human energy needs. Stressing that every location “needs its own symphony,” he underscored the importance of community power and local ownership in both industrialized and developing countries for achieving a renewable energy transition. 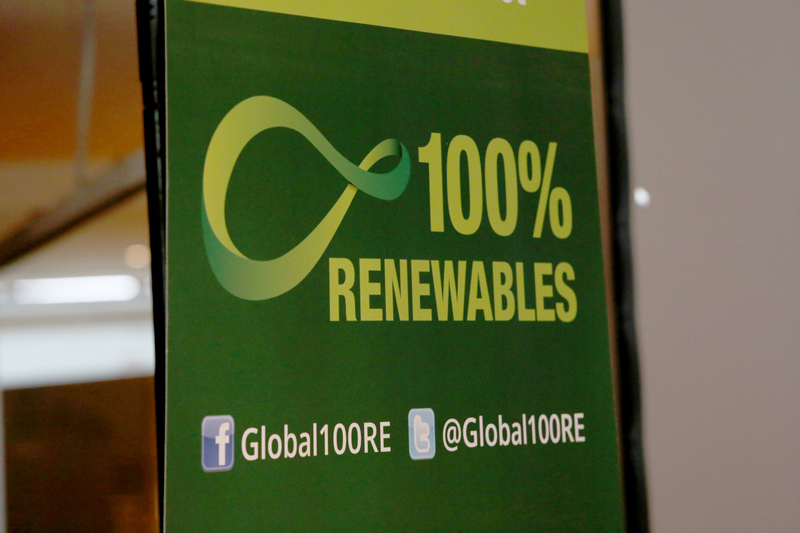 Arthur Hinsch, Global 100% RE, introduced the Global 100% RE Platform as the world’s first global initiative that advocates 100% renewable energy. 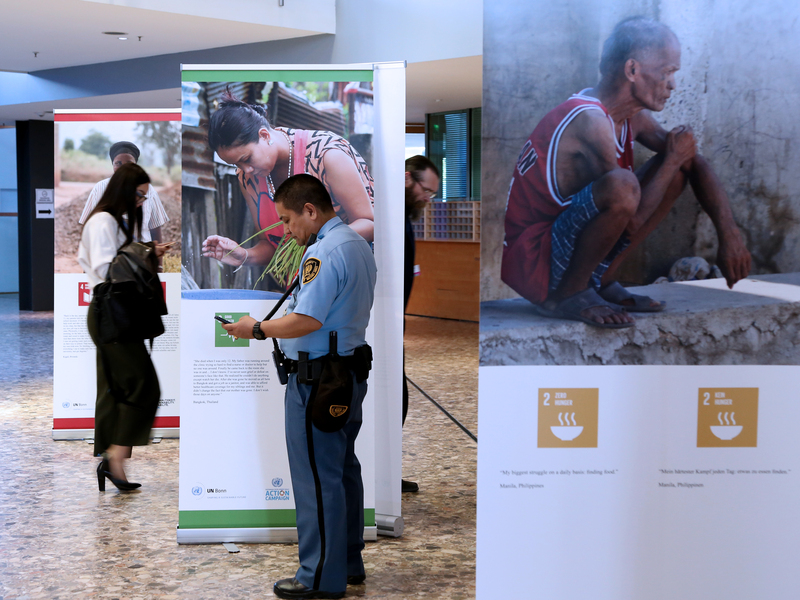 He highlighted the Platform’s ‘100% RE Building Blocks’ approach, which addresses legislators, government officials and community champions, and can be adapted to the different circumstances they face. Felix Akrofi-Atitianti, ICLEI – Local Governments for Sustainability (ICLEI), highlighted the carbonn® Climate Registry as a tool for local and subnational governments to register their climate actions, including with regard to renewable energy. In the ensuing discussion, participants highlighted: the role of businesses in achieving 100% renewable energy; the fact that other stakeholders and citizens also play a key role in this transition; the different challenges faced by developing countries in ensuring community ownership; and the need to provide training to prepare citizens for the renewable energy transition and for early action in this regard. Arthur Hinsch, Global 100% RE, highlighted a map of initiatives that are pursuing a 100% renewable energy target, available on the platform’s website. Steven Meyers, ISES, invited participants to the ISES Solar World Congress 2017, which will be held from 29 October – 2 November 2017 in Abu Dhabi, United Arab Emirates. 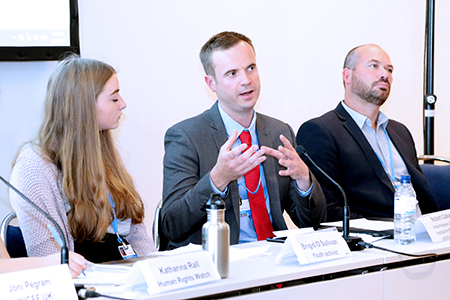 Lasse Bruun, CAN International, emphasized that “some” renewable energy is not enough, noting that 100% renewable energy is a requirement for staying below 1.5°C. 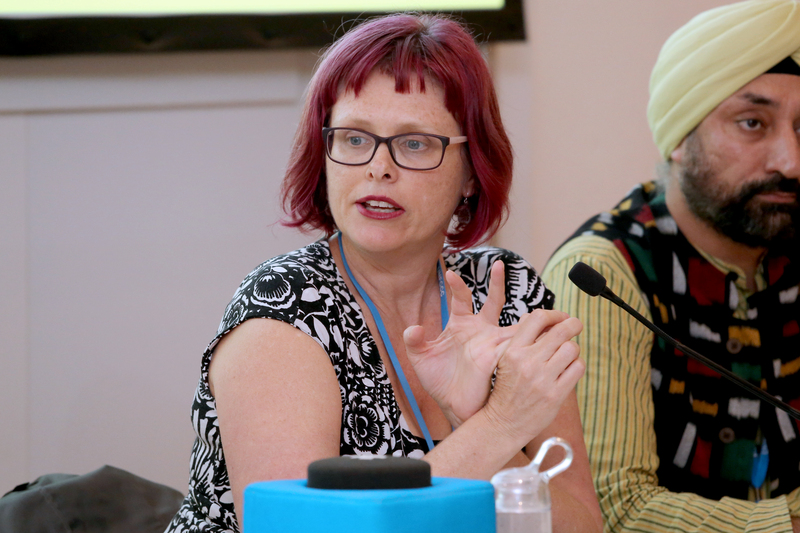 Anna Leidreiter, WFC, lauded “a global movement of renewable energy pioneers,” including more than 50 cities that have made a commitment to transition to 100% renewable energy. 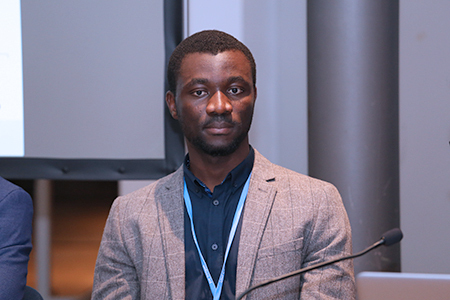 Felix Akrofi-Atitianti, ICLEI, highlighted his organization’s membership in the Global 100% RE Platform. Among benefits of a “community-power approach,” Stefan Gsänger, Secretary General, WWEA, identified job creation and greater acceptance of renewable energy. The Earth Negotiations Bulletin on the Side (ENBOTS) © enb@iisd.org is a special publication of the International Institute for Sustainable Development (IISD). This issue has been written by Suzi Malan, Ph.D., Katherine Browne, Elena Kosolapova, Ph.D., and Cleo Verkuijl. The Digital Editor is Ángeles Estrada. The Editor is Leila Mead leila@iisd.org. The Director of IISD Reporting Services is Langston James “Kimo” Goree VI kimo@iisd.org. The Earth Negotiations Bulletin on the Side is published by the International Institute for Sustainable Development. 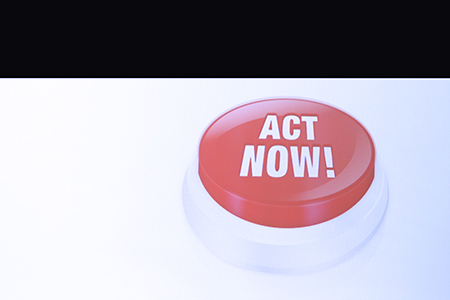 The Sustaining Donors of the Earth Negotiations Bulletin are the European Union (EU) and the Kingdom of Saudi Arabia. General Support for the Earth Negotiations Bulletin during 2017 is provided by the German Federal Ministry for the Environment, Nature Conservation, Building and Nuclear Safety (BMUB), Italian Ministry for the Environment, Land and Sea, Japanese Ministry of Environment (through the Institute for Global Environmental Strategies - IGES), New Zealand Ministry of Foreign Affairs and Trade, Swedish Ministry of Foreign Affairs, Government of Switzerland (Swiss Federal Office for the Environment (FOEN), and SWAN International. 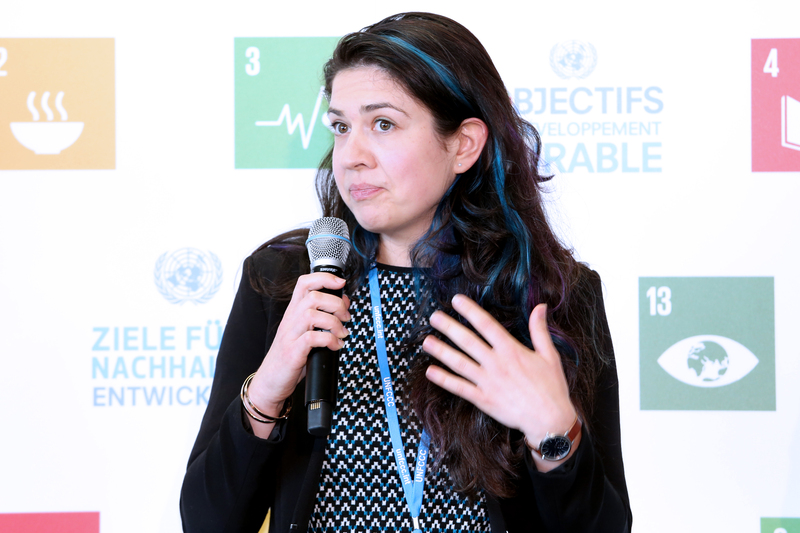 Funding for translation of the Earth Negotiations Bulletin into French has been provided by the Government of France, Québec, and the International Organization of La Francophonie/Institute for Sustainable Development of La Francophonie (IOF/IFDD). The opinions expressed in the Bulletin are those of the authors and do not necessarily reflect the views of IISD or other donors. Excerpts from the Bulletin may be used in non-commercial publications with appropriate academic citation. For information on the Bulletin, including requests to provide reporting services, contact the Director of IISD Reporting Services at kimo@iisd.org, +1-646-536-7556 or 300 East 56th St., 11D, New York, NY 10022 USA. The ENBOTS team at the Bonn Climate Change Conference - May 2017, can be contacted by e-mail at suzi@iisd.org.